Hang around in the leadership of National or Labour long enough, and chances are you will become Prime Minister. Don Brash, Bill English, Jim McLay, John Marshall – in the last 40 years, you can count on one hand the major party leaders who haven’t ended up running the country, and they’ve all been Tories. History then, would seem to be on Phil Goff’s side. Yet despite his long ascent – he was a Cabinet Minister eleven years before John Key joined Merrill Lynch – the public still seems to lack a strong sense of his identity. Only part of this (admitted) image deficit can be attributed to the daisy chain of personas that Goff has gone through, each one with indefatigible sincerity, on his way to the top. From student radical to fervent Rogernome to faithful lieutenant of Helen Clark and Michael Cullen, Goff has been a fount of boundless, and fairly imposing, pragmatism. He just never stops. Yet the more he runs, the more that Goff seems….well, robotic is the favoured term by the likes of Michele Hewitson these days, for the style of delivery. Yet that makes it sound like a bad thing. Personally, I find it kind of re-assuring to think that Goff is somewhere out there all the time, tirelessly working 24/7 up and down the country for the Labour cause without apparent need of food, sleep or a change of batteries for weeks on end. Is it possible to have political antennae that are too sensitive? 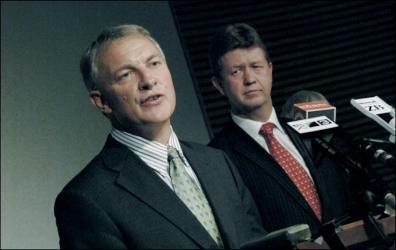 As any reporter will tell you, no query gets to enter Phil Goff’s mindspace without its molecules being frisked and X-rayed and then teleported back in re-constituted form to the questioner – with no room left whatsoever for the uncertainty principle, or potential for signal interference. I’m kidding, but only a little. In Goff and John Key, the system has evolved two matching combatants who seem able to mutate – like Transformers – into whatever shape that the Electability Combat Game demands. In that sense, we are all maybe to blame. For decades, the centre left in particular has been voting against the prospect of something worse – and only rarely, and full heartedly, for a positive vision. Now in Phil Goff, that process may have reached its apogee – a sleek and apparently tireless political machine almost entirely about electability, and the calibrations required to achieve it. Losing, after all, is for martyrs. Will it work? Or will it be sent off, dented and clanking, to the firepit in three year’s time ? Werewolf editor Gordon Campbell talked with Phil Goff for nearly an hour, about this and other possibilities. Campbell : Do you think you have to beat John Key at the next election to keep this job? Goff : Well, we don’t have a plan B. Our plan is to win at the next election and that’s what we are looking to do. That will be..that will be a challenge. We’ve not had a one term National government before. But if you’re not in the game to win an election you shouldn’t be in the election race at all. Campbell : Sure. But what I’m wondering is – in the circumstances would losing the next election be regarded as a hanging offence, necessarily? Campbell : Yes, but on the other hand, Bill English wasn’t shown much mercy after losing in 2002. Why should you expect kinder treatment? Goff : Well, I think that nobody has the God-given right to leadership of any political party. You secure the leadership and you hold it secure by your performance as the party leader. And that’s as it should be. If I don’t perform as a party leader, I wouldn’t expect to hold the position. And that deosn’t rely on there being an election. Obviously, if I was performing badly as a leader then my leadership would come into question. Campbell. Ah-huh. So you can perform well as leader, and not necessarily win in 2011 ? Goff: I’m looking to perform well as leader AND winning in 2011. Campbell : In the first year after a change in government, do you mainly have to keep patient – and rely on the government to make itself unpopular? In the normal course of events you would say its better to become Leader of the Opposition in the second or third term of government rather than twelve days before the new government has even taken office. But having said that, I don’t see that as an automatic barrier to winning the next election. 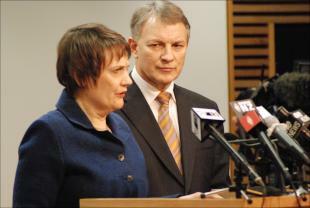 I draw some comfort of course, from the by-election – where seven months out from an election, we managed to produce an outstanding result of 63% to 17 % – a much wider margin than existed in the previous election, when a long standing and enormously capable MP called Helen Clark was contesting that seat for Labour. Campbell : Do you think the hidden agenda fears that Labour raised during the election campaign have been vindicated? Goff : Oh, I think the concerns that we raised are well-founded in that they are there. Goff : Take the Super City as an example. I mean, Rodney Hide is quite clearcut in what he says. He wants to privatise the assets of the Auckland region – the ports, the remaining shares in the airport, the water supply. Ah, Bill English said in an unguarded moment on tape, that he wanted to do that as well but not necessarily in the first term. The fact that they have emphasised the first term as the constraint on privatisation is a clear indication that they will move, given the chance, to privatise in the second term. Campbell : But if Rodney Hide is the radical agent in the government, he’s hardly what you’d call a hidden agenda, is he ? Goff : No, he’s not hidden at all. I will give him credit at least for being honest in what his intentions are. I don’t give that same credit to National. Ideologically, they support privatisation. Ideologically, they’d do away with Working For Families which Key described as ‘communism by stealth.’ Ideologically, they’d probably do away with Kiwisaver. Ideologically, they’d do away with interest free student loans – which they promised to fight with every bone in their body. The reason that those policies survive is simply that the National government feels there’s too great a risk in abolishing those policies…But they will regard re-election in 2011 as a mandate to do those other things. Campbell : The problem with the approach you’ve just outlined is that the public thought you were crying wolf when you said it last year, and most of them still think that you’re crying wolf right now. Goff : I’m not sure that is the case. I think people do fear for example, for the future of their superannuation. The polling is showing that very clearly – that people between the ages of 25 and 60 feel that what National has done is show that it never believed in the Cullen Fund. It said that it would retain it, but what they feel has happened is that their future planning for their income in retirement has been jeopardised by what National has done. I think that when you see the cuts that will come – not simply in this Budget, but foreshadowed for the next two Budgets in health and education and also reflecting certain ideological concerns – it won’t be the low income that are protected. In terms of the cuts in health services….Tony Ryall has made it quite clear that primary health organisations are not at the top of his list – as it was in ours – but rather the things like elective surgery, that will affect his constituency. So I don’t think it is a case of crying wolf. I think there is an ideological predisposition to do these things – while being constrained for the time being, by a government that is keen not to undermine its popularity too quickly. It is not ideological in the sense of Ruth Richardson, where what you saw was what you got. Its ideological in the sense of what you see is what you’re not likely to get. They’re biding their time. Campbell : By 2011, if John Banks [looks like being] ensconced as Auckland’s first Super Mayor, will that be a useful rallying point for Labour at the next general election? Goff : I think a John Banks candidature at the next general election will send out a real message to Labour people in the Auckland area that the services that they believe in from local government are under threat. John has made a big point about he’s a leopard who has changed his spots. Campbell : During the Mt Albert by-election, Russel Norman raised the old bogey of Phil Goff and his alleged rightwing pre-delictions. Valid criticism ? Goff : Well, if that was what he was campaigning on, it didn’t get much resonance from the electors. No, its not accurate. I mean, its unfortunate. Its politics, I accept that. You take it on the chin. And David Shearer was this dreadful rightwinger who believed in mercenary forces. That’s equally untrue. Campbell : And he was said to be Phil Goff’s creature. Goff : And my creature. David Shearer is very much his own person…Russel Norman can look back over the last nine years of my term as Minister, and he’s welcome to challenge any decision I took as being appropriate or inappropriate. My ideology is a deep-seated one. It is one that is pretty common to New Zealanders. Its about fairness, its about decency. Its about the sort of society we create and the opportunity and security we provide. Goff : It died about 1997. There was a carry over from the fourth Labour government, and the divisions between Lange and Douglas. But those sort of factions, and ideological divide, are well and truly buried. Campbell: If you’re not an ideologue, people can still validly say that you’re something of a chameleon. You were a student radical, you became an enthusiastic Roger Douglas supporter, and now you’re mainstream centre left. 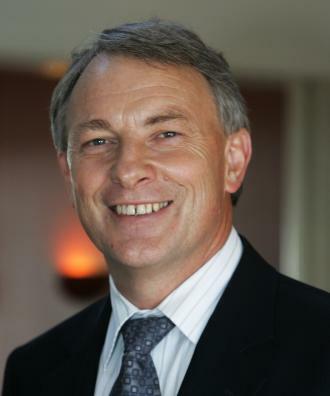 Does Phil Goff have an identity problem ? Goff : No. Was it Keynes who said that when accused of changing his position he said ‘Yes, the facts disproved what I used to do, so I changed my mind.’ What do you do ? I think that’s a very appropriate response. My value system, I don’t think, has changed a great deal. Go back and read my Youth Reports, as president of the Labour Youth Movement, to conference. Campbell : Because it fails to produce a competitive outcome? Goff : There are areas in the economy where competition doesn’t work, because it a natural monopoly – or where, when competition does work, it produces a monopoly and defeats the purpose of competition, But even the Americans have believed in that since FDR. Campbell : Yet during the period when you were in government during the late 1980s, the very notion of an anti-trust need to regulate against natural monopolies didn’t seem to exist. You would thought that around the Cabinet table, the likes of Geoffrey Palmer would have been reminding you all about Standard Oil, and about A T & T – so how come that never surfaced as a concern back then? Goff : We had our mind on the immediate challenges, which were profound challenges. What we’ve preserved from the 1980s merited preserving. What we discarded were two things. One, I was never convinced that a flat tax would work in the sense that you would not then be able to deliver the social services that are fundamental to what we owe to our constituents, and to the society we want to build. Secondly, I don’t believe that you can apply market policies – in the social areas – that may work reasonably well, in the economic areas. Roger went beyond the early period of reform to a belief that somehow if everybody paid for their education we’d get a better education system. I’ve never regarded Douglas as a reactionary. He’s a radical. And I don’t think his radical policies in those areas deliver in the way that he thinks they will. Because as soon as you have a private education system for those that can afford to pay for it, it means that your public education system then has no political interest group behind it to preserve the things you need to, to ensure that you do get equality of opportunity. So that people can achieve to their full potential. Likewise with the health system. Campbell : So back then, where were you when it came to the December 17, 1987 package that caused such a ruckus in the Lange government ? Goff : I wasn’t in the notorious photo, you might recall. I was pretty much focussed on the portfolio responsibilities I had. Campbell : You know why I’m asking. Because the boundary line back then was whether you believed – or didn’t believe– in the process that you’ve just outlined. Goff : Maybe, and with the benefit of hindsight, I’m not sure I was comfortable with either. I deeply admired David for what he could achieve, but the methods he started to use in terms of making his decisions outside of Cabinet and not arguing his case inside Cabinet, weakened his credibility within the organisation. At the same time, I suppose Roger Douglas would have sat down with Lange and tried to find a common position. In the end, Lange didn’t want to do that. He wasn’t sure he had the background, the knowledge and the facts to argue – within the Cabinet – or outside the Cabinet – with what Douglas wanted. I don’t think ideally, either grouping offered New Zealand what we really needed to do. Campbell : So which team were you in at that point ? Goff : I was angry at the way Lange had handled things. And this was [me as] a person who had been a strong backer of Lange for the leadership change, before that…I also acknowledged, on Douglas’ side, that he actually had a plan. A very rare thing in politics. He had a plan about how we would deal with the crisis that we confronted in July, 1984. Campbell : But from what you were saying before – his plan, going forwards, was wrong ? Campbell : So to be clear – on the social outcomes, you thought that Douglas was wrong ? 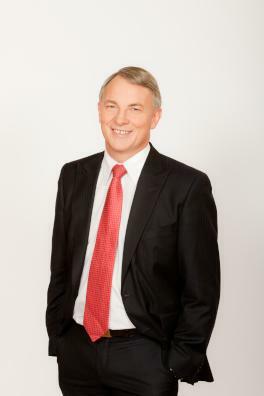 Goff : I have never wavered from my view – and I ended up as Minister of Education, inheriting Lange’s portfolio, ironically – or from Fraser’s view, that the goal of your education system is to ensure that every child, regardless of what part of the society he or she comes from, can achieve to their full potential. That is the end that makes me a Labour person. I firmly believe in that. I come from a family that suffered in the Great Depression by virtue of circumstances where…our family lost a husband, lost a home, lost an income and was rescued by the first Labour government. That is, emotionally,where my commitment is. But the sort of policies that you pursue have to be run by your head, about how you best deliver that particular vision of life. Campbell : And how is all of this consistent with the fact that you were an enthusiastic supporter of the sale of Telecom in the 1980s, yet seem to abhor the very idea, now, of the sale of much less strategic assets ? Goff : I’m not sure that I was an enthusiastic supporter of the sale of Telecom. I went along with it. In retrospect, I nominated that in the early 90s, when I was out of Parliament, as one of the reasons why we lost, and one of the reasons why perhaps we deserved to lose. What I felt was wrong with that – I recall giving a speech somewhere, at Western Springs College while was out of Parliament altogether – saying that one of the lessons is you can never go into politics and do the opposite of what you’ve promised, and still hope to maintain credibility. So, that deals with Telecom. What do I want to keep now ? Again, it goes back to the Keynes saying. We sold Air New Zealand. The idea was, that a private sector board would run that more effectively and efficiently than the model that preceded it. I thinbk it was an enormous revelation to see the utter failure of the private sector captains of industry that ran Air New Zealand into bankruptcy – fundamentally because they hadn’t done due diligence arouind the purchase of Ansett Australia. I’ve got to say that..if I had any sense that you could simply rely on the private sector – and that these people would be better at running business, automatically – that belief took a hell of a battering with the collapse of Air New Zealand. Campbell : Yet that’s still a common article of faith, isn’t it ? That somehow, governments are inherently worse at business than the private sector? Goff : Yeah. Yet Air New Zealand today, under a majority government shareholding but with quite competent management, has done as well as any airline across the world. Then you look at the NZ Rail sale – something the National Party sold off – and that the likes of Fay Richwhite asset stripped. The likes of the Canadian company that bought it up and then the Australian company had no interest in the wider social and economic roles of rail. And so, I’m less convinced that those sort of areas – that are fundamental parts of your infrastructure – are automatically better off in the private sector, at all. That’s not to say I’m advocating a massive nationalisation…I’m not, of course. Campbell : Currently, in your view, is there any state asset that would be better managed in private hands? Goff : No. Currently, I don’t believe there is any asset that we’ve got that I would want to see privatised. And that includes the prisons. If you call prisons an asset. It is a part of your infrastructure. I don’t believe that the privatisation of the power companies worked. Which is not to say that the current organisation of power companies – and whether there is a competitive model that protects the consumer – is something we’ve yet got right, either. Campbell : Earlier this year, you were lambasting the government for not having a coherent plan to deal with unemployment during this recession. Tell me – did you have a coherent plan to deal with unemployment during the 1980s, when you were Minister of Employment? Goff : No. The situation was somewhat different, though. The situation was made worse not only by the deterioration in the international situation – because of the oil crisis, the sharemarket collapse and what went with that. But we were also in the midst of a massive restructuring around organisations that weren’t working particularly well, either. And the Railways were part of that. So was State Coal. Those were organisations that were not being run effectively and efficiently. And I say that as the son of a Railways tradesman. So, why would you then give a third of your tax cuts to the top three per cent – who will save it, or pay down their mortgages – rather than to those who are struggling to make ends meet, who would immediately spend that money promoting the demand that promotes the businesses and the jobs. Now, that’s not terribly complex economics. And what would you do in a situation where a whole lot of apprentices were being laid off ? Some 2,800 in the building trades alone. You would say in two years time when these young folk get out of their apprenticeship we will be out of the recession, and into a growth phase in New Zealand. So wouldn’t it be a good idea to preserve these people, so they can complete their skills training ? So that they have a future, and that New Zealand has the skill base that would enhance our emergence from the recession. Campbell : Yes. But back in the day, you didn’t even have a plan to deal with the unemployment that was being generated by your own policies – whereas today the government is hostage to international currents over which it has no control. Doesn’t it deserve to be cut a bit more slack? Goff : No. 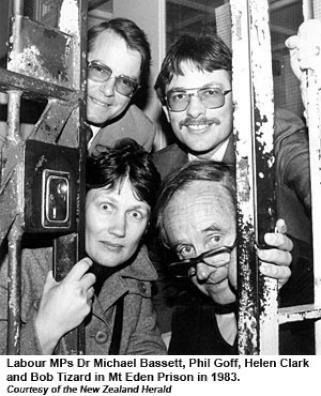 I think we were hostage to international currents at the time. There was the sharemarket collapse, which had a devastating effect. We were also hostage to the fact that we had a set-up in government that clearly hadn’t worked before. The transition from the Muldoon controlled command style economy to what we were trying to achieve was a very hard transition. It didn’t have a lot of the soft options. With hindsight, we could have slowed that process, could have taken some of the impact off the restructuring that was occurring…. There are some parallels in terms of the international impact in the 1980s, and in 2008-09. But to tell you the truth, we’re in a much stronger position where we are at the moment, in terms of our government debt levels and in terms of our low unemployment, than we were at the time these things happened. In eight and a half years, Mildoon left a legacy that was always going to be very hard to clean up, and it was not the same legacy that the Australians, or some of the other countries, had to face. Campbell : Was there ever an understanding with Helen Clark, spoken or unspoken, that you would succeed her? Campbell : I wasn’t asking whether you’d thought of planning a coup. Goff : And I know you weren’t. Therefore, had we won in 2008, I imagine what she might have done is do 18 months, two years and then decide..At at the end of four terms, it gets harder and harder to sustain your support. But that would have been at her decision…It would not have been my intention at any stage to challenge her, and never was there any arrangement as to what she would do. I did not know on election night that she would announce her resignation. Campbell : So in a Tony Blair sense, you were not seen as the Gordon Brown waiting in the wings? Campbell : And your support for her was never conditional on that? Goff : Not at all. My support for her was on the basis that she earned my respect and support for the job that she was doing. Campbell : You worked faithfully for Helen Clark and Michael Cullen for many years. Was there a discipline required in that – did you ever have to bite your lip? Goff : Oh, there were odd occasions where I guess I might have had different views. But not to the extent that it ever caused a breach between us. In part –and only with hindsight – there was in 2005 a huge demand and expectation building up around tax cuts. We needed to make a gesture there, even if the economics were against doing tax cuts then. Michael was absolutely right on that. Why would you give tax cuts at a time when your economy was running red hot? He was economically right, and we were politically wrong. And Helen…at the time, I had international portfolios. Almost on every occasion our instincts were the same. Campbell : You were also for a time the Minister of Defence during that period. In your opinion, should our forces ever be deployed overseas without a clear UN mandate? Goff : No. I would never go against a UN decision in terms of being where the UN had not given some cover to the commitment we made. Campbell : We will have to see if that becomes a point of difference with the current government. In the past, we have deployed troops overseas on the basis of our coalition relationships. Goff : Yes, in Vietnam. That might have been the only occasion. Or the Falklands. Campbell : Yet if can believe Simon Power a few years ago, we would have seen another example, in Iraq. Do you sense that it is still a point of difference between yourself, and the Key government? Or do you think they would now also be reluctant to deploy our troops overseas without a UN mandate ? Campbell : One puzzle has been the government’s delay this year in responding to the US request for our special forces to be re-deployed in Afghanistan. It is reasonable to suppose the US wouldn’t have asked unless they thought we were going to say ‘Yes.’ What do you think is the reason for the delay – especially given that we have an Afghan election coming up in August ? Goff : I think the government is being cautious about what commitment it makes, and what the implications of that commitment will be…The Americans may have been responding to signals that they perceived from the incoming government. They always said to me, we would be very happy if you made the decision to send the SAS in again. But there was never a definitive request to me as Minister of Defence that we should put the SAS back in. And that is as it should be. Campbell : So the longer this delay on the decision [about the re-commitment of the SAS, or not] goes on, the greater the potential that the Americans misread the signals ? Campbell : So in what ways would a Goff government differ fom what we got from the last Labour government? Presumably. it would be more than Helenism with a Y chromosome. Goff : I was entirely comfortable with what the last Labour government did. As I say, there were a number of things with political implications that we misread. I think we misread what the impact of section 59 would be. It wasn’t that the decision was wrong – it was that decision was always liable to be heavily exploited [to argue] that this is a nanny state government. I’m not sure that the positives we created…(pauses) I voted for the change, and don’t apologise for voting for that change. It has not done what the opponents of it said it would do. Campbell : And ironically, Key got the credit for brokering the compromise – for something that became the basis of the nanny state criticism he was later able to use to great effect ? Campbell : And he gained a club to beat you with. Campbell : Again, this raises the old Goff right wing criticism that I mentioned before. Yet in opposition, do you think there is actually more room now for traditional Labour positions to be adopted, than when you had the full responsibility of government? Goff : I’m not sure how the left/right thing works in today’s economics. My values are traditional Labour values. I don’t think I’ve ever shifted…whether its social policy or environmental policy or foreign policy. Economic policy ought always to be just the mechanism for achieving what you want to see, in terms of higher living standards a high wage economy, a high tech economy etc..
Campbell : The question was not about that. It was more about what would be on Phil Goff’s visionary wishlist, if he should ever be given the chance to govern again. Goff : I think one of the things that Labour has to do – and maybe I’m reflecting the views of the most multicultural electorate – as well as providing security for people…We have to emphasise that other aspect of Labour tradition, which is about providing opportunity for people. People often see us as only being interested in the disadvantaged. Campbell : Interested in distribution, rather than in wealth creation? Goff : Yes. So we need to understand the aspiration that every family has – regardless of what part of society they come from – they want to look forward to a better life for themselves, and their families. Campbell : You do happen to lead the centre-left bloc in Parliament. So asking about the ‘left’components of that message are legitimate. In your view, is the National Party just Cullenism with a bit more emphasis on wealth generation? Goff : No. I believe their ideology is quite different. And I’m not saying that in a totally prejudiced, or party political way. You asked before about unemployment. The angst about the high unemployment at the time ate into our soul. And me, personally. We were doing a whole lot of things with Access schemes, with skills training and trying to ameliorate the economic restructuring and the impact it was having on unemployment. I don’t think it does that to the Nats. They don’t think about their people as being the people who are unemployed. They see the unemployed as a pool of people you can call on which means that wages are going to race ahead, and working conditions aren’t going to be enhanced in a way that affects their bottom line profit. They do see the world in a different way. Campbell : Sorry for laughing, but you’re reminding me of a famous Allan Stamaty cartoon – where the only difference between Democrats and Republicans on the economy was that Democrats claimed to care more about the victims of it. Goff : I have a book up there which was my bible for Justice– its title was What Works What Doesn’t, What’s Promising. And people say are you tough on law and order? Or are you soft on law and order? And I say “ I’m neither tough nor soft. I want to know what works.’ What works to protect our society in a fundamental way. What works to change people. You can call it ‘tough’. You can call it ‘soft.’ Whatever you bloody like. But what really matters is – does it work? And economic policy is a little bit like that as well. Does it work ? Is it doing the job? Is it giving the chance for our industries to become creative, innovative, competitive etc. So you’re looking at a different paradigm in many ways, today. Rather than the old left/right thing…. Campbell : Does the media constrain the pace at which a centre left government can move ? Goff : Well, the media can make it very difficult. You’ve got a media that…I don’t need to tell you anything about the media and where it come from. The media helps form the perception of people and what their government is, or is not, doing. And while all politicians tend to get a bit paranoid about the media, you know the Establishment that might influence the editorial line – particularly in the print media – is going to be against what you’re doing. Campbell : Helen Clark once talked to me about an inbuilt predisposition by the media to cut more slack to conservative parties, in certain areas. Goff : Well, you see that at the moment. I’m not quite sure how much of that is the pre-disposition and how much is the honeymoon. But there are things that are happening now that if a Labour government was behind it, we would absolutely be getting hanged for it. They are being cut a lot of slack. Some of that is because there is an old boys’ network, there is an Establishment, it does lock in and that tends to benefit the government, particularly in the more established media areas. Campbell : Was the Greens’ memo of understanding with the Nats something you welcomed? Goff : Oh, I had no objection to it. I certainly don’t blame the Greens for doing that. In their position I’d probably want to do the same sort of thing. It doesn’t worry me, in the sense that when the Greens lined up the two parties at the last election and looked at their policies and said – which are our policies more compatible with – there was only ever going to be one response. But if they can go in, and they can put pressure…( shrugs) They basically re-negotiated what had been taken away, what Labour had in its home insulation package. Not quite as good as what we’d set out, but it was certainly a lot better than nothing. Campbell : Since they signed that MOU deal have you seen any sign in the House of the Greens pulling their punches? Goff: No. No, I don’t think so. The Greens are still fundamentally opposed to a whole lot of things that the National Party is doing. I see them as our natural partners for government. Campbell : It has been great politics for Key though. He gets to outsource his credibility on Treaty issues to the Maori Party, and to some extent on environmental issues, to the Greens. Goff : Yes. Yet sooner or later, you have to walk the talk. It is less likely to damage the Greens because they haven’t locked in their party to a formal form of support for the government. The Maori Party has. And it gets tougher and tougher for the Maori Party when you look – who is disadvantaged by the government policies when it comes to employment, who is disadvantaged by the policies in terms of taxation, who will be disadvantaged by the social policies with respect to education and health, and those sort of areas. Locking themselves in to support the National Party will ultimately damage them..
Campbell : And what evidence do you have that so far, the Maori Party has lost more than it has won from its engagement with the government? Goff : Oh, I think it is a cumulative thing. Over time, you only have to look at the fact that Maori unemployment is over 12%. How are those people who are unemployed, and their families, going to look upon the Maori Party in giving supply and confidence to the economic policies of the government that is having this impact on their people ? Campbell : Why should they blame (a) the Maori Party and (b) the government for an effect they may well conclude is beyond the control of either? Goff : Well, in terms of tax cuts, that’s certainly not true. The government made its choice, and the choice was to disadvantage the disadvantaged, and to advantage the advantaged. And guess where most Maori families are on that spectrum ? When you look at that Budget, what did the Maori Party exact from that Budget that was going to be of benefit to Maori people? And that’s a hard question [for them] to answer. What was it in that Budget that had any effect – profound or even relatively small – on advantaging the Maori electorate ? I can’t see anything at all. Campbell : To their constituents won’t the victory over the Foreshore and Seabed issue, now totally vindicate the Maori Party’s decision to go with National ? Goff : No. Even before the election, the agreement with Ngati Porou demonstrated clearly that agreement could be reached under the Act which effectively reconciled the need for guaranteed free access by all New Zealanders to our beaches, while still allowing for proper acknowledgment of customary rights and title, where appropriate. Labour supports changing the Act as set out in our submission to reconcile differences between Maori and Pakeha viewpoints. The fact that this can be done now – in the different atmosphere of today compared to 2004 – is because Labour is not indulging in the sort of dog whistle politics. As in the Iwi v Kiwi, Orewa speech climate that National fostered at the time ! Labour, not National, deserves credit for this. Campbell : Do you think there is a risk that customary title could be converted to the kind of freehold that would enable future sale of this heritage, either to other New Zealanders or to foreigners – and if so, can, should and how could such sales legitimately be prevented ? Goff : Under Labour’s submission on the Review we make the point that while we accept that where criteria for meeting the justification for customary title is met, it should be recognised [with] the caveat that this should not be subject to conversion into an individual title which can be alienated. Campbell : Going back to the Greens again for a moment. The expectation is that Labour cannot govern again without them. Is that your understanding? Goff : Well, we don’t quite know what the future holds. I can’t say. Parties have sprung up at short notice and done relatively well. My expectation is that of any party in Parliament in the moment, the one we are most likely to have a coalition with are the Greens. They might be the first cab off the rank. Campbell : When Labour was in government, it – or Heather Simpson at least – used to patronise and try to control its allies. In the wake of the election defeat has Labour embarked on any re-think of how it should treat its potential partners in future ? Goff : Um, yeah. We have meetings with the Greens at leadership level, and we’re due for another meeting. We suspended it briefly for the time of the Mt Albert by-election campaign, but we will meet with them. I’m happy from time to time to work with the Maori Party. Where that’s appropriate and where our goals might be the same in a particular area. That’s not unusual. Its not beyond the bounds of possibility that Labour will try to work with the National Party to re-instater an emissions trading scheme…I’m not ideologically opposed to co-operating with other parties to achieve shared objectives. Campbell : That wasn’t the question. It was – do you feel Labour’s behaviour in the recent past towards its allies has been problematic, and do you feel it needs to be revisited ? Goff : No. I’ve never had any particular problem with the Greens. I agree with them on some things not with others. Campbell : Their perception may have been – and even though they were not in formal coalition – that attempts were being made to control them, because they were not entirely trusted by Labour. Has that been raised as an issue that has to be addressed in future? Goff : No, the contact we have had so far has been fairly amicable. Probably Labour would have gone in with the Greens last time, if the Greens had been able to make up the numbers, and given us governance. Look, I don’t doubt there will be issues we will have to work through between us, in terms of forming a coalition government.But if the willpower exists to be in government…we will make those agreements. Campbell : Because the Nats have done that quite well, haven’t they? They’ve let Rodney have his head, while retaining plausible deniability about what he does. Goff : Yeah, they’ve managed that quite cleverly in the first instance. But it will get harder and harder to manage those contradictions as time goes on. Campbell : For years, there’s been media comment on your tendency to over explain yourself. Do you think that by contrast, people tend to forgive Key his gaffes – because he sounds like a humanly fallible, and more like one of us ? Goff : Yeah, and I think that’s probably the contrast with Helen that ironically has worked to his benefit. Helen was always eloquent, fluent, knew the answers, had done the homework. And that’s what impressed me about her, actually. But for a lot of folk maybe they see Key fumbling, contradicting himself, not explaining things particularly well…and that makes him more ordinary, and they can identify with that. But that’s pretty easy in the early part of your government. Its where you make mistakes and after people have seen you make those same mistakes a few times, that they start to challenge whether there’s substance behind it. I think the fundamental error that John Key made – in the by-election – was the distancing himself from Melissa Lee. The decision about not even turning up on election night to stand beside her. Campbell : Ultimately, you got more flak for bagging Richard Worth – who was a legitimate target – than Key got for abandoning one of his own people on an iceberg. Campbell : Arguably, the error of judgment on your part was that you went public with accusations about the content of emails that you hadn’t seen, at least at that point. Campbell : Excuse me. One, you didn’t know the content and two, you didn’t know how many there were. Goff: No. But I knew they had been continuous. Goff : Because she had told me. Goff : No, but I’d been told what was in it. And had told Key at the time, that Worth was offering private meetings with her, to offer these positions. She had rung me – and said ‘He’s a National Minister, I’m a Labour person. Should I accept the offer of this job that he’s making to me ? ‘ That’s how I knew that it was true, long before I knew there were strings attached. Because she was a relatively attractive person, I did give her the advice that if you’re going to see the guy I’d take someone with me, if I were you, you know ? Anyway, I didn’t particularly want to get into that. But I thought that Key made some fundamental errors, and I don’t think he emerged unscathed, from that.